Base Taupo has the best lakeside location! You are just seconds from the lakefront and have transport, cafés & shops on your doorstep. 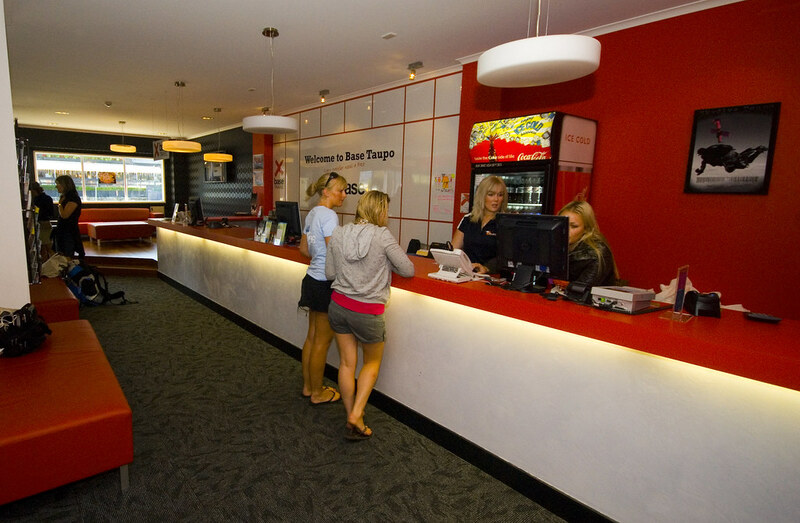 Base Taupo, is designed with the traveller in mind, boasting an ideal location right in the centre of town, superior facilities, comfy beds and great value for money. Offering a full range of clean comfortable rooms - choose one to suit your budget. Take your pick from a private ensuite with TV, multi-share dorm or Sanctuary wing for girls only! Taupo also has a full range of activities on offer – so don’t miss out! We have a one-stop travel shop to plan your perfect adventure before you travel. Stop in to our onsite party bar 'Element' to check our food and drinks specials, nightly entertainment and DJs.